Credit Score Report: Most of this can be done online via credit check websites like annualcreditcheck.com. Typically credit scores range from 300 to 850 and the higher the score the better the loan. This process also gives you the opportunity to identify if there are any unknown discrepancies or errors in your credit history. 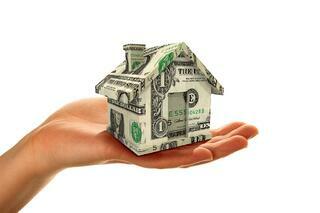 Affordable Mortgage Payments: You can also calculate how much you can afford online using a mortgage calculator. By taking into account the money you’ll need for a down payment, closing costs, mortgage percentage rates, and other fees, you can see what you can afford and the cost associated with buying a home before even contacting a mortgage lender. One of the benefits of buying a Malta Development home is the relationship we have with local lenders who make the mortgage process effortless, from application to closing. Our mortgage lenders offer pre-approvals, extended rate locks, low or no PMI, and long-term low rate adjustable loans, among other benefits and services. If you have any questions regarding the home buying process, feel free to contact our agent, Beth Smith of Beth Smith Realty, Ltd. at (518) 928-3057.